Gerard 'Jock' Davison an RUC Agent was shot on Tuesday morning 5/5/2015 in the Markets area at 9.15am. 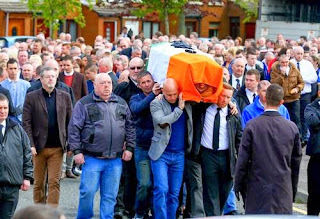 The Sinn Fein/PIRA Bully-boy had a free hand from his British Handlers for the past two decades to inflict crimes against humanity on the local Catholic population, however, he was only one of 38 active RUC/Sinn Fein/PIRA agents operating in the Markets/Short Strand/ Lower Ormeau Road areas of Belfast. Children were running across the road screaming "daddy, daddy", according to reports. The Sinn Fein/PIRA man was working as a community worker in the Markets district. He was part of the Markets Development Association and was one of the directors of the Cromac Regeneration initiative. He was a senior member of Sinn Fein/PIRA in Belfast City and continued to engage in large scale criminality for Sinn Fein/PIRA after the 1998 GFA. Davison came from a family aligned to the republican movement during the Troubles. His uncle Brendan 'Ruby' Davison was shot dead by the UVF close to the scene of Tuesday's killing in 1988. Brendan Davison was also an RUC Agent, however, his loyalist killers did not know this at the time of the killing. 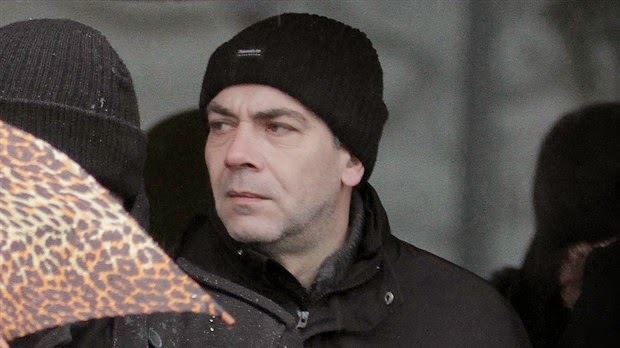 Another of Gerard Davison’s uncles was the former IRA internal security figure, Freddie Scappaticci, also from the Markets area and another senior British agent within the Sinn Fein/Provisional IRA organisation. Davison was quizzed about the murder of 33-year-old Robert McCartney outside Magennis's Bar in Belfast city-centre in January 2005, but was later released without charge, it is believed that RUC Special Branch ordered his release, even though it was widely known that Davision was the lead player in the murder and cover-up following Robert McCartney's cowardly murder by Sinn Fein/PIRA criminals. The McCartneys led an international campaign after the 2005 murder. Robert McCartney (33) was killed after trying to help his friend, Brendan Devine, who had become involved in a row in Magennis’s. Three men were charged in connection with the killing: Terry Davison with murder, and Jim McCormick and Joe Fitzpatrick with causing an affray. But they were all acquitted in 2008. 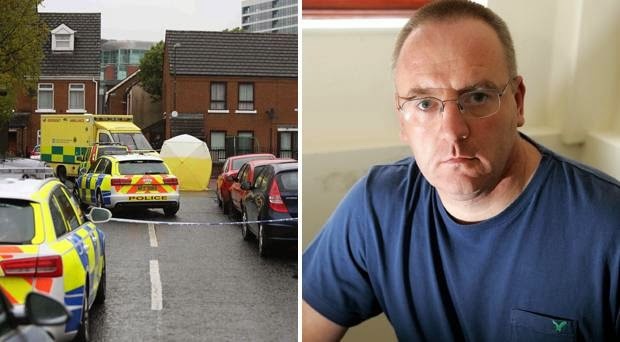 No-one has been convicted for the murder of Mr McCartney a father-of-two from the Short Strand. The victim's sister made the claim that Davison ordered the murder. In a 2007 interview with Sunday Life, Gerard 'Jock' Davison claimed "I'm no tout" after the murder-victim's sister, Catherine, posed the question in her new book, Walls of Silence. Davison said at the time: "I never, ever gave any information on my comrades or my friends during my 25 years in the republican movement. Any republican who knows me knows this. "There is not one shred of truth in this suggestion that I was an agent. It would take Al Hutchinson or Jane Winters from BIRW just five minutes to establish this fact. "I challenge the McCartneys to make a complaint immediately and I will co-operate fully with any investigation."